As with past seasonal events, the Zeds will look distinctly holiday-ish (sans the joy and cheer), and if players can survive their red-and-green onslaught, they'll get a chance to take down the aforementioned K-man. 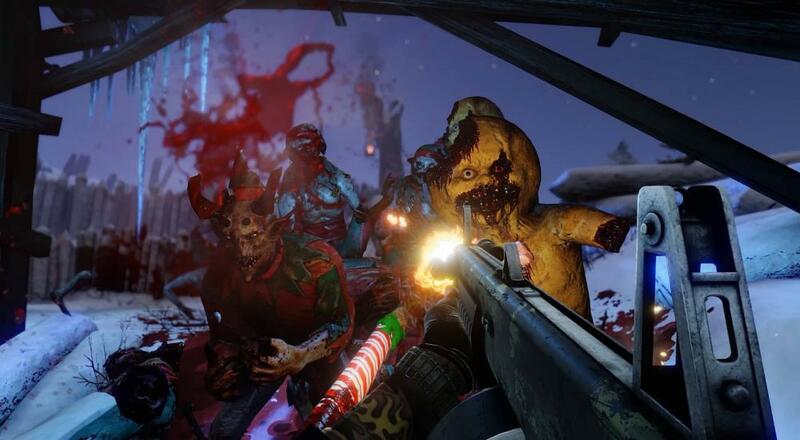 All this takes place on a brand new holiday map, which features a "demented Xmas soundtrack". Of course, it just wouldn't be in keeping with the spirit of the season if the game didn't add a few dozen seasonal items (such as adorable pajamas), along with the distinctly non-seasonal UMP submachine gun for the SWAT perk. It's a good thing the game sports online co-op for up to six players, cause a pajama/murder party just isn't the same when you're by yourself. Be sure to hop on and check out the event soon, as it only runs until January 9th.